" I've worked in music all my life including writing music for BBC television and running a professional recording studio for sixteen years. I've enjoyed running community music projects for the last four years including three years studying music therapy & counselling skills. I run four successful community choirs in Taunton Minehead Tiverton and Exeter and have worked closely with Foxes Academy in Minehead for learners with learning disabilities. 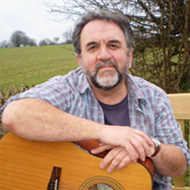 I provide music sessions for Parkinsons UK in North and West Somerset and have recently run music workshops with Rethink Mental Health Charity and with the brain injury charity Headway"